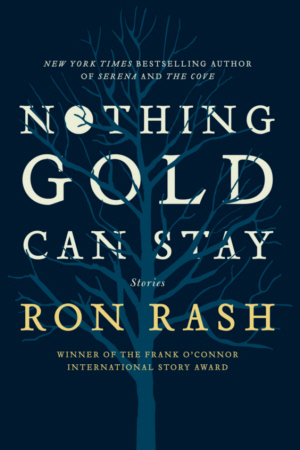 Ron Rash dazzles readers with his gift for evocative and luminous prose and his piercing insight into the human heart’s duality–a yearning for nobility often overshadowed by our dark, primal nature. In the title story, two drug-addicted friends return to the farm where they worked, as boys to steal their boss’s unusual but valuable war trophies. In “The Trusty,” which first appeared in the New Yorker, a convict sent to fetch water for the chain gang tries to sweet-talk a fanner’s young wife into helping him escape, only to find she too is imprisoned in her own way. In “Something Rich and Strange,” a diver is called upon to pull a drowned girl’s body free from under a falls, but finds her eerily at peace below the surface. Rash captures lives tarnished by violence that unexpectedly shimmer with sublime tenderness, and raw settings matched only by their stark beauty — a masterful combination that has earned this award-winning author an avalanche of praise.